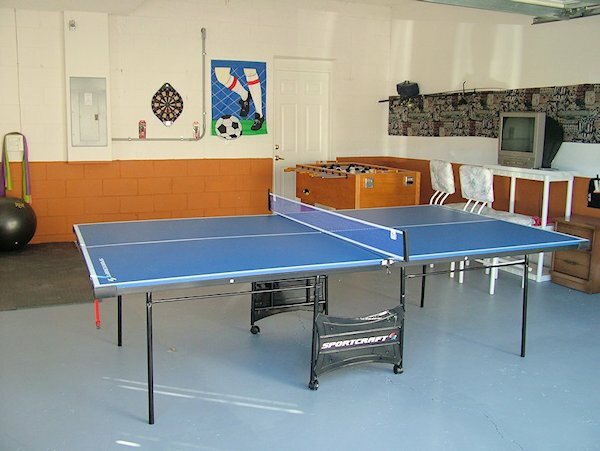 A large community pool and cabana as well as basketball and tennis courts, are available to use during your stay as well as a 9 hole golf course that winds itself through the communityand charges a nominal greens fee carts and clubs are also available for hire. For boating and fishing enthusiasts, Espirit is located on Lake Davenport, a 400 acre lake that allows you to experience another aspect of this versatile community. Love Sport? - Don’t miss the big game! Watch your favourite sports in comfort in the lounge on our 65” HD TV with 190 channels. Just want to enjoy the Florida sun? - fun for all the family in the private pool and spa with and sun deck and sun loungers for you to relax and enjoy. With lighting in both pool & spa, it’s the perfect place for an evening in. Bring your laptop and connect to our free wi-fi Internet which is available throughout the house. Whether you want to keep in touch with friends and family by email or look up useful tourist information (or even book your next stay at our house) you can browse 24 hours a day from the comfort of the villa. And this is another luxury we are offering absolutely FREE!!! "Everything listed was definitely there. I think it was nicer than the ad showed, and we loved it. The pool was great, we paid for the heating and it was wonderful. The spa turns into a hot tub, too! There were only three of us, and we stayed for a week, but you could definitely do an entire family, or two smaller families without it being crowded. It''s in a good area for food/shopping - at least three publix within a 5-10 min drive, and 5-15 minutes from restaurants. We didn''t do theme parks this time, though it is pretty close to most of them, but used it instead as just a place to relax, swim in the pool, and enjoy warm weather. Would do it again, and might in the future!" "Great home in a super quiet neighborhood with a private backyard pool. We loved staying at your home! kevin deleon june 2015"
"Wonderful house in a quiet neighborhood. We went to Disney almost every day and it was about 15-20 minutes depending on which park you go to. The pool was the perfect place to relax! WiFi and cable worked great while we were there! 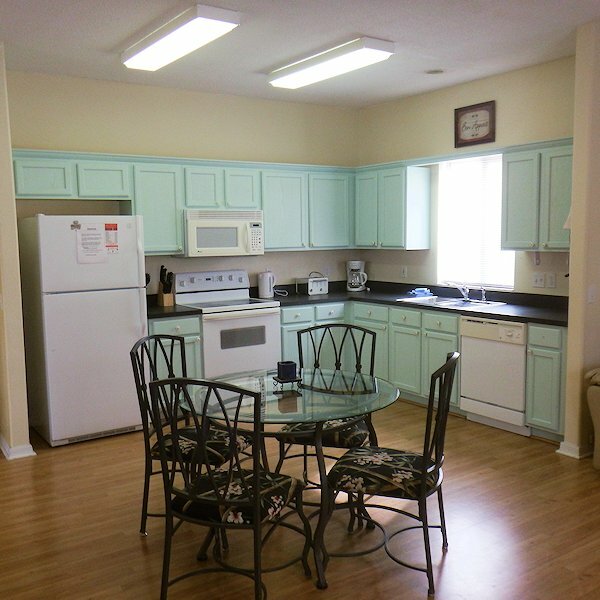 Fully stocked kitchen, clean rooms, privacy fence around the pool. Definitely would stay again! Klarrisa USA June 2015"
"Nice, big, clean,house in a good neighbourhood. Easy access instructions and host emailed to check everything was ok. Pool was great. Wifi and cable TV were nice to have. House is comfortable and has everything you need. Close to theme parks"
"La casa nos pareció espectacular, pasamos un grandioso fin de año, estaba super completa inclusive con cuna para mi bebe, mejor no pudo haber estado. 100% recomendada"
"We had an amazing stay. The hosts were very accommodating and I got quick responses to all my questions. I would defiantly stay here again"
"We had a wonderful stay at this house. 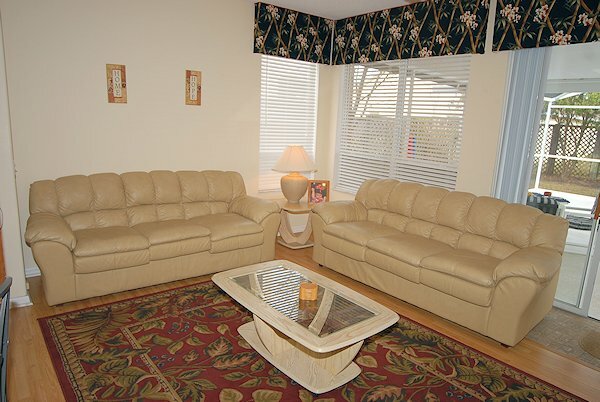 The house is very comfortable clean and has all that you would require for a vacation. Bill was a great host. We had to cuts short our vacation due to a hurricane approaching that may have delayed our flight back home. Fortunately it passed The Orlando area but we did not want to take the chance. All that said I would not only reccommend this home but will be back again. " 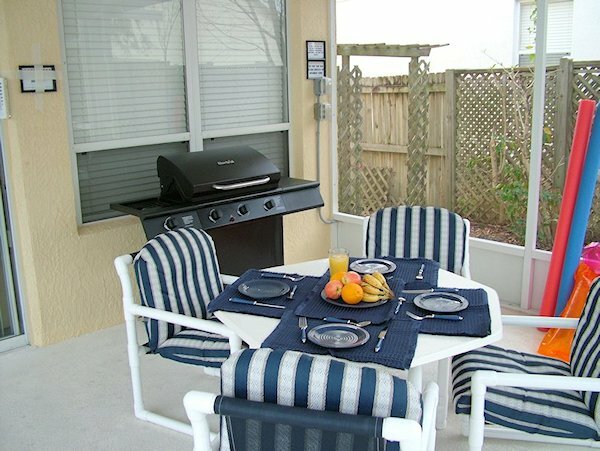 "This house provided a great vacation getaway for me and my family. There were 8 people in my family and we all slept comfortably. The pictures on the website are extremely accurate. I would definitely stay in this house again and would certainly recommend it to others. Bill, the owner, was great and very responsive. For any of you golfers, the location is paradise because there are several courses to play in the area. 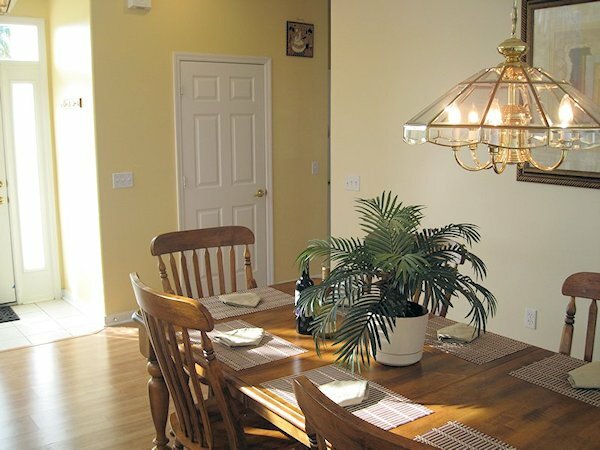 I would say it's only about a 15 - 30 minute drive to Disney barring traffic, maybe a bit longer, but coming back to this house was very relaxing." "Loved the whole house, this was the ultimate vacation home. Loved the drive, maybe 20 minutes to Seaworld, but up 192 which has all the restaurants and gift shops you could ask for"
"Fabulous home!!!! Our family had a blast there!!!! The house is spacious and beautiful!!! 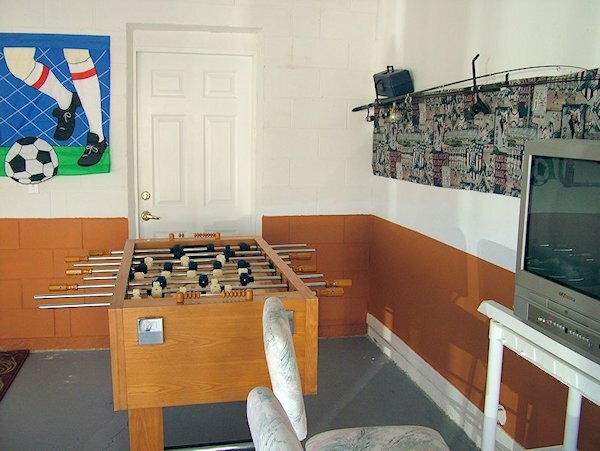 Kids friendly as well! Our 3 year old just loved it! Thank you Bill for making our Disney experience even more magical!!! We would definitely come back to this house and recommend it to all our friends"
" I rented this home from 3/29/12 through 4/8/12 and could not have asked for anything more. 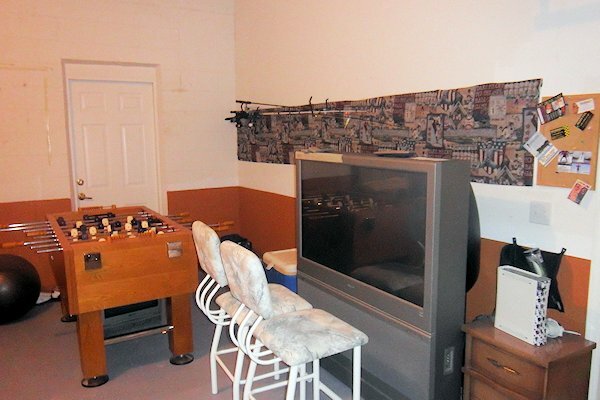 The house was spacious and very clean and the pool and hot tub were perfect. 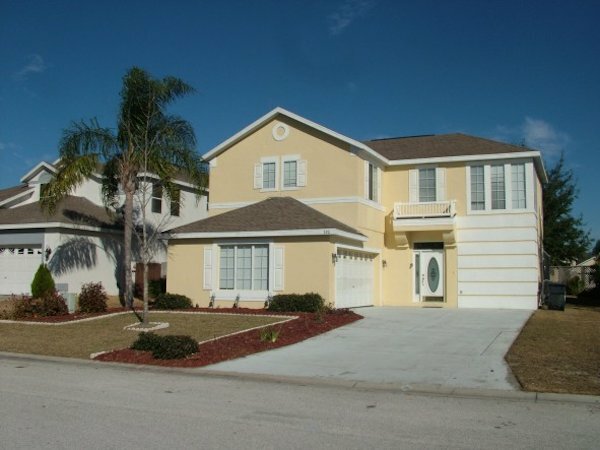 This house is located 15 minutes from most of the theme parks, in a nice, safe neighborhood. I would rent this home again without hesitation. Thanks, Bill! " For those everyday essentials, there is a local Publix supermarket around 2 miles away on US192 - which is handy when heading towards the parks - and a WalMart Supercenter around 2 miles north of US192. Both supermarkets offer a selection of smaller shops and eateries alongside. These include: Applebees, Quiznos, an Indian take-away, Dominos pizzeria and a wine & bistro parlour. Highway US192 is the main road through to Kissimmee and has countless shops, restaurants, as well as all the crazy golf you can manage! If you head south on US27 towards Interstate 4 and there is the Posner Park shopping centre offering major stores including JC Penney, Target, Ross, Dress for Less and many more. Again, there is a further selection of restaurants available. Alarge fully equipped open plan kitchen and breakfast room with every thing supplied to make your vacation, a large fridge freezer with ice maker, blender ,kettle. coffer peculator, microwave, pots and cutlery. 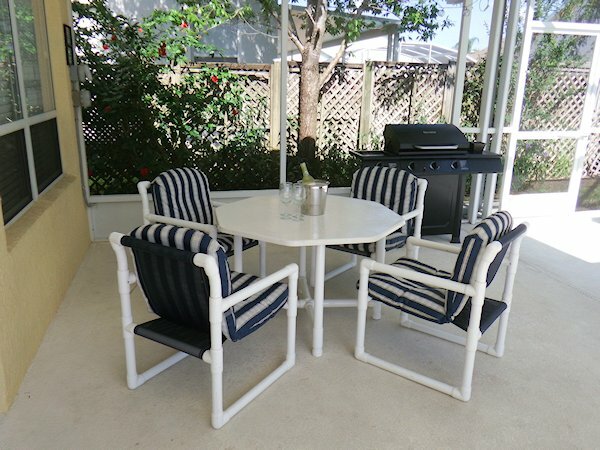 small breakfast table and chairs. a large dining table and chairs share the second lounge /reading room with full size window overlooking the pool and spa with 2 very comfortable sofas one of which is A sofa bed . The huge master suite features a US king-sized bed, large Flat Screen HD LCD TV with Digital Cable TV (with remote control of course) and a radio/alarm so you don’t miss that early start for the theme parks The luxurious en suite has an indulgent roman tub bath - bring your favourite bubbles, large walk-in shower, His & Hers wash basins with complimentary hairdryer and plenty of storage space. Lots of fluffy towels are also supplied. 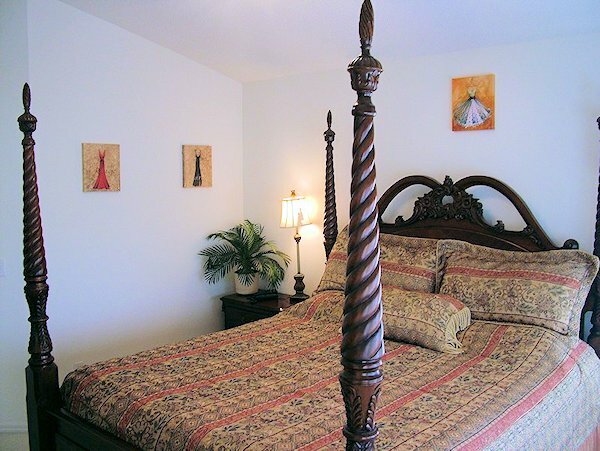 Our pretty Bedroom two is a comfortable room with Queen size bed, Flat Screen LCD HD TV (with remote). There is plenty of storage space for your holiday wardrobe in the large built-in cupboard and dresser. 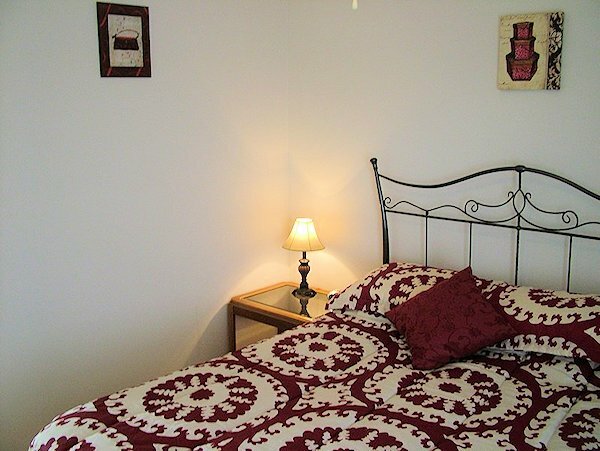 A lovely room, stylishly furnished with Queen size bed, Flat Screen HD LCD TV (with remote). There is ample storage space in the built-in wardrobe. 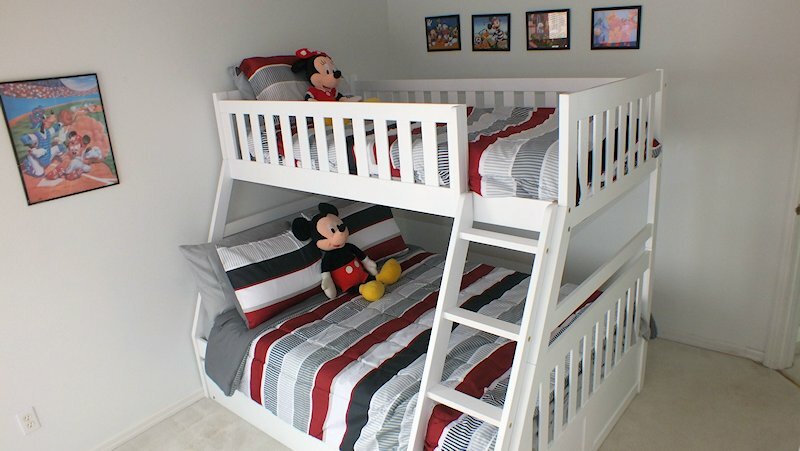 Our Mickey & Friends themed bedroom features twin bedsfluffy toys which will delight Disney lovers of all ages. 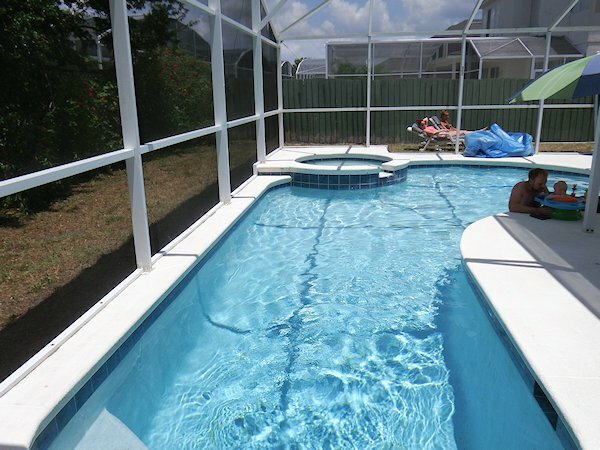 Large pool deck covered with netted enclosure to stop the bugs and insects.